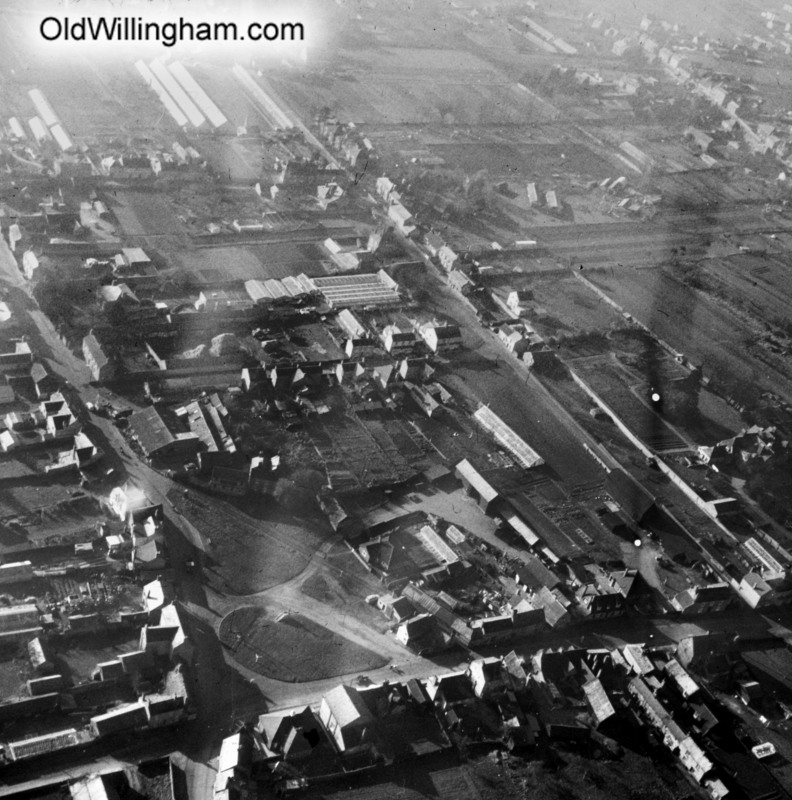 This is an aerial view of the village taken in about 1950. The lower left corner is the village green and the upper right corner is roughly the crossroads of High St. and Berrycroft (traffic lights today). In those days a road ran right across the green! What is astonishing is how few buildings there are – some on Long Lane in the middle but only a few greenhouses and farm buildings between long lane and the High St. You can also see Thoday’s Greenhouses at the top of Long Lane opposite where the school is today. My how the village has changed!